This tool is used for setting and adjusting the tightness of nuts and bolts to a desired value. Includes six interchangeable pipe work formers from 1/2” up to 2” BSP . This power tool is designed to produce high torque output with minimal exertion by the user, by storing energy in a rotating mass, then delivering it suddenly to the output shaft. 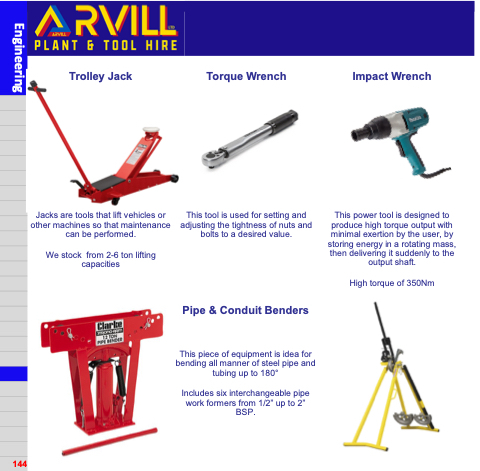 Jacks are tools that lift vehicles or other machines so that maintenance can be performed.